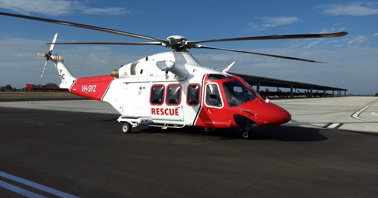 CHC Group announced they have signed a 30-month contract continuation with Royal Australian Air Force (RAAF) to provide search and rescue services at five bases around Australia. As part of the continuation, six new generation AW139 aircraft will replace the current S76 SAR helicopter fleet flying for RAAF. The AW139 aircraft will be search and rescue configured with four-axis auto hover, allowing them to hover over water at night. CHC is the most experienced operator of auto hover technology in Australia. The crews will also use white phosphorus night vision technology, introduced into Australia by CHC, which is designed to offer greater range and vision clarity than any other existing technology. CHC Helicopter operate and provide their services to all three services; the Royal Australian Air Force, Australian Navy and the Australian Army. The new AW139 aircraft will be in addition to the current AW139 night vision goggle capable, four-axis auto hover machine currently servicing the Australian Navy since May 2017.